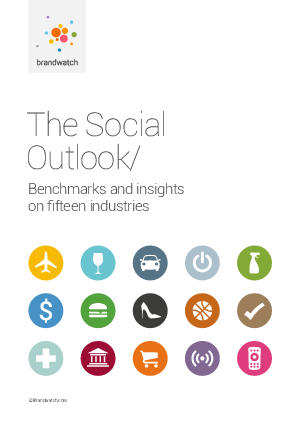 The Social Outlook, the first report of its kind, presents insights, benchmarks and consumer trends at an unprecedented scale. Too often business operates in a vacuum. You may understand your businesses' performance, but have little concept of how your company fits into the larger context. The research sheds light on behaviors, perceptions and social maturity surrounding 115 million conversations, on 450 of the biggest organizations, across 15 industries. The Social Outlook provides definitive benchmarks to understand the current social landscape.